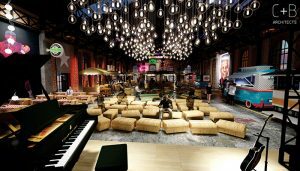 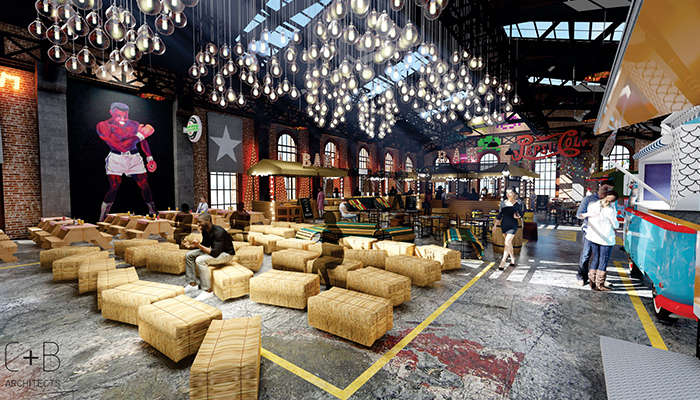 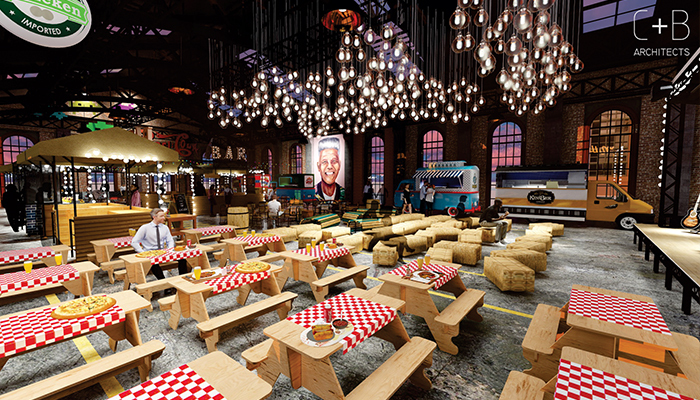 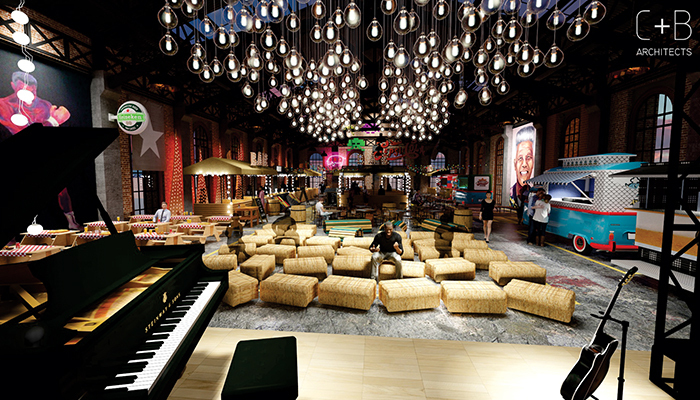 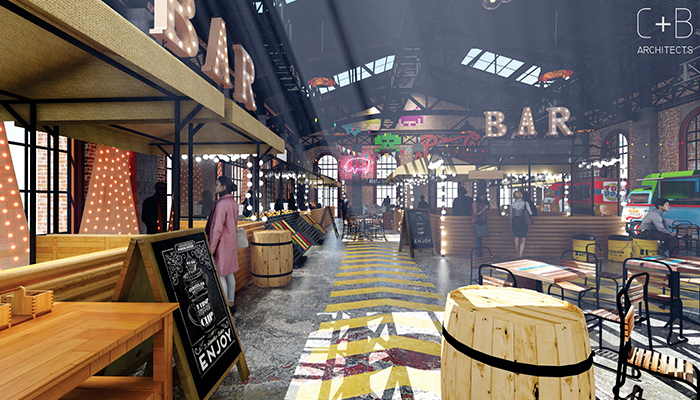 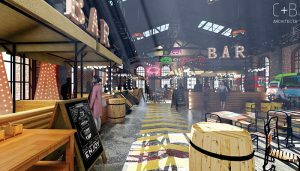 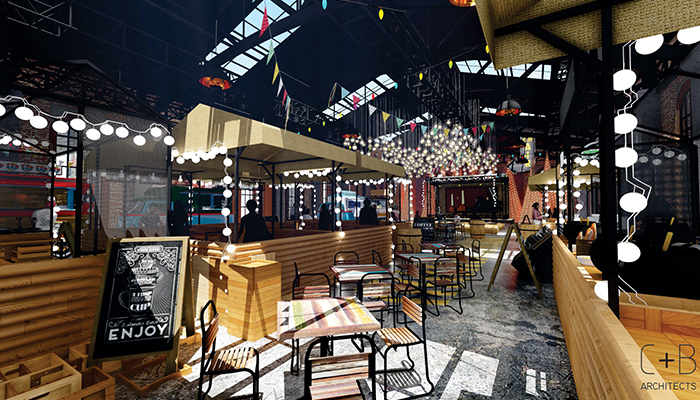 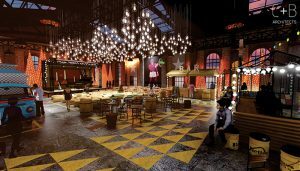 C+B’s design concept for an indoor market with an entertainment area. 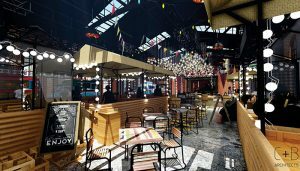  Markets are huge in South Africa at the moment and you have to consider what people want to get out of the experience when you approach the design. 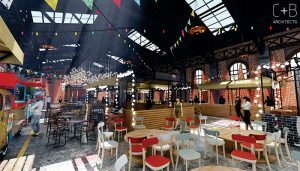 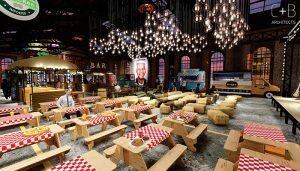 Most people approach market spaces with only the most cost effective solution in mind without thinking of the role that the space plays in the experience for the visitors – we say: why not have both?